Do you want to be my side kick? 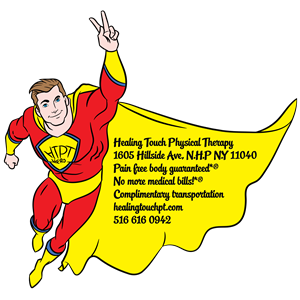 If so email me htpthero@healingtouchpt.com, choose a name for yourself and let me know. I need help with saving the world from pain. Being the side kick of a super hero is a lot-you should respect others, say and do right things even when it’s not popular-for that you must develop self confidence. You have to stand up and defend the weak ones. Take the leadership role in organizing various fund raises Healing Touch Physical Therapy will be doing. If you can be my sidekick then I like to know more about you. Write to me why I should consider you as my side kick.